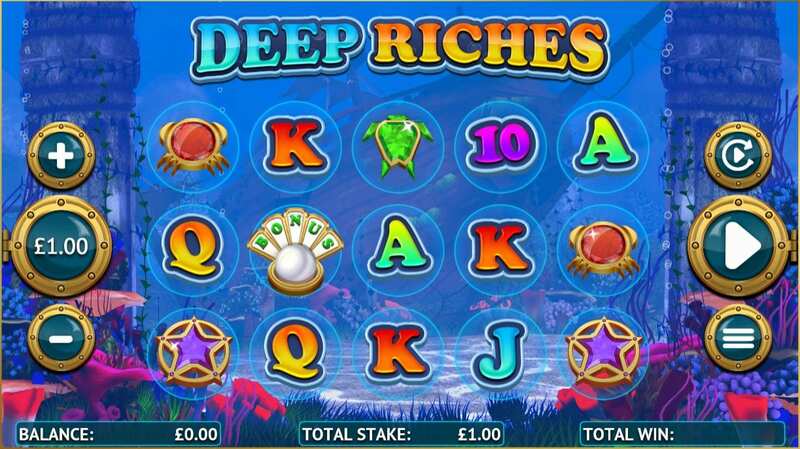 In order to win big in the Deep Riches slot game, you will have to dive down to the depths to see if you can find any underwater treasure. You never know what you may find beneath the waves – perhaps a shipwreck, of course, complete with its sunken bounty, or you might stumble across some shiny coins that the fish have been keeping for themselves. For more aqua-based themes, view online slots at this link! If you take a quick glance at the whole slot game catalogue from Core Gaming, you will notice that no two of their games are ever alike. Just take a look at Furballs, Reels of Fire and Rolling Stone Age. These wildly different themes are what make Core Gaming such a prominent group of developers, and Deep Riches another title in their portfolio that they can be exceptionally proud of. A fan of Core Gaming? Get started and spin slot games playable online today. Once you are under the sea, you will come to the game board. The background will certainly put you in the mood for some watery adventure. There’s a sunken ship in the background and two steel columns covered in seaweed to each side of the board. Enter on a wonderful sea journey and experience this online slot best games today! You’ll also notice lots of colourful coral and sea creatures in the backdrop too. Right at the fore of the board are the five reels, filled with some really fishy symbols, and twenty pay lines. But it’s not all that peaceful under the sea, and you might encounter some surprises. · WILD SYMBOL – The best symbols on the board are the pink jewels as they represent the game’s Wild. If you match five of them up, you’ll be in for a substantial pay out. Not only that, though, but they can also increase your chances of winning by replacing any other symbol. · WILD WATER – During the game, you will notice that some of the symbols float around and become modifiers. By activating the Wild Water feature, you can turn these floating symbols into Wilds. · REEF BONUS – You should also try and spin at least three of the pearl symbols as well as these will activate the Reef Bonus. This is just like a regular Free Spin round. If you land any other bonus symbols during a free spin, then you’ll be rewarded with more spins. 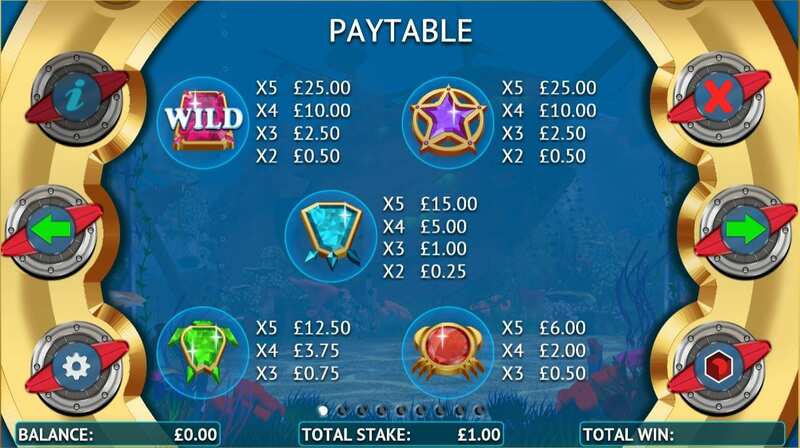 During the Free Spin round, some Wilds will act as Stacked Wilds – they will all gather on one symbol which could result in a massive pay out!